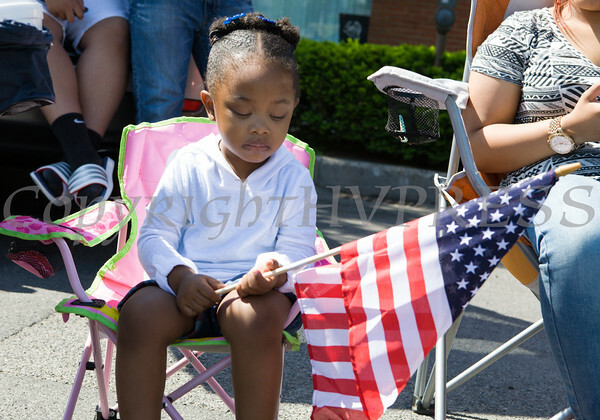 The City of Newburgh hosted a Memorial Day Parade on Monday, May 25, 2015, which proceeded along Broadway to Washington's Headquarters. Children wave flags along the parade route of the City of Newburgh Memorial Day Parade on Monday, May 25, 2015. Hudson Valley Press/CHUCK STEWART, JR.